Christmas is always a busy time for our railways, as a significant portion of the population plan to visit friends, family, or use it to get away from all that festive stuff. But the extra pressure on the railways can push the service – and it’s passengers – to the limit. We’re lucky enough to be in a rail renaissance at the moment, but it’s easy to forget the downside of all that work and investment: short-term disruption. The railway companies are often between a rock and a hard place in choosing when the biggest disruptions should occur. The holiday period when travellers are primarily using services for leisure? Or during January when everyone is back in commuting-mode again? Touch choice. 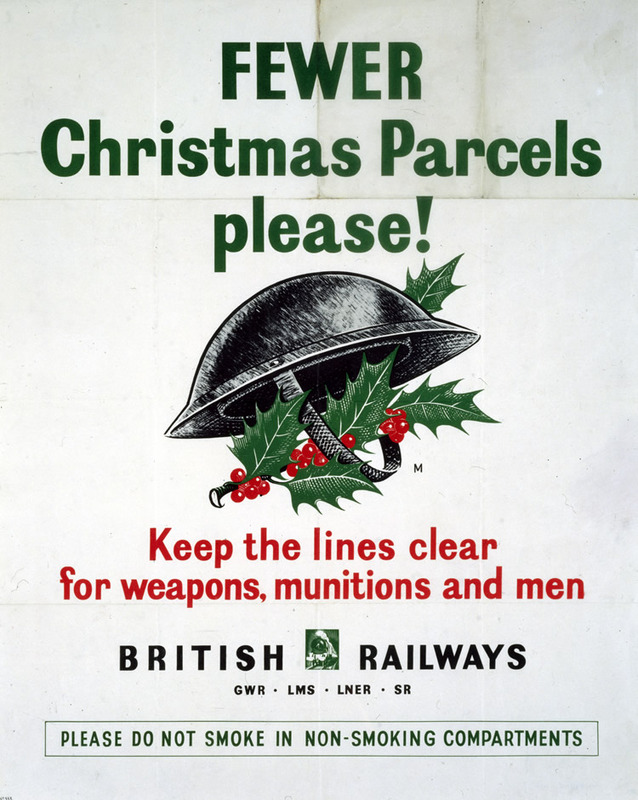 This pressure on the service isn’t anything new, as this little festive archive selection demonstrates. 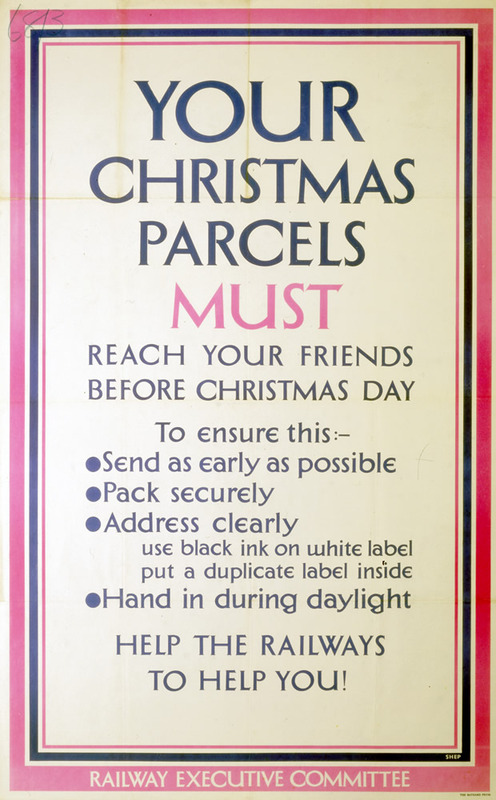 ‘Xmas – Your Ticket, Your Parcel, Your Gifts’, Southern Railway poster, 1937. (Img ref: 10308353). 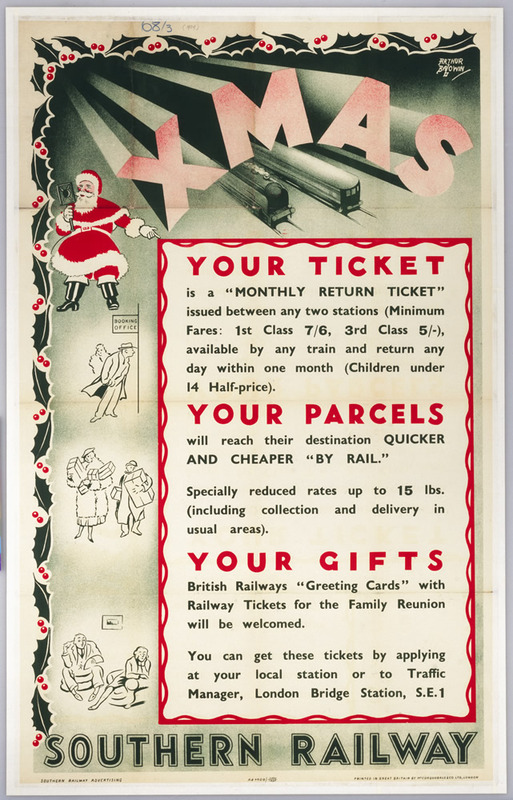 The railway has always been crucial in shifting the massive amounts of festive post. 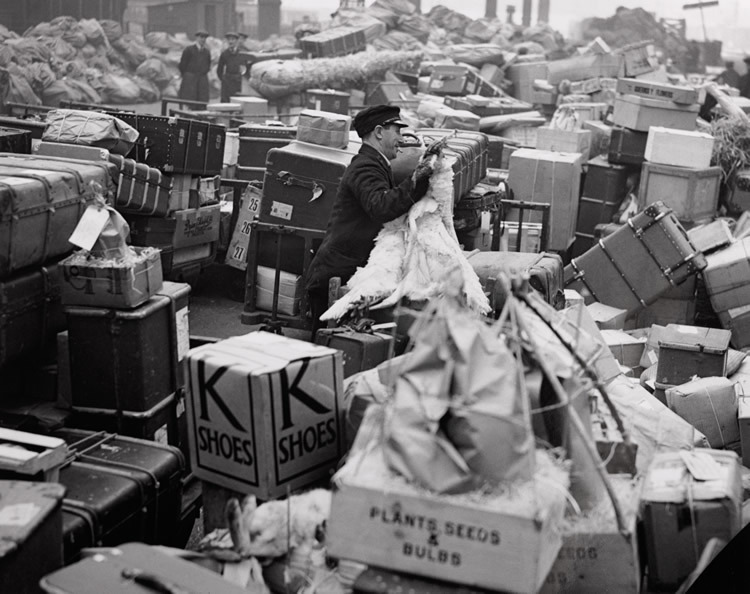 A station luggage handler surrounded by Christmas parcels and suitcases at Waterloo, December 1936. (Img ref: 10308463). 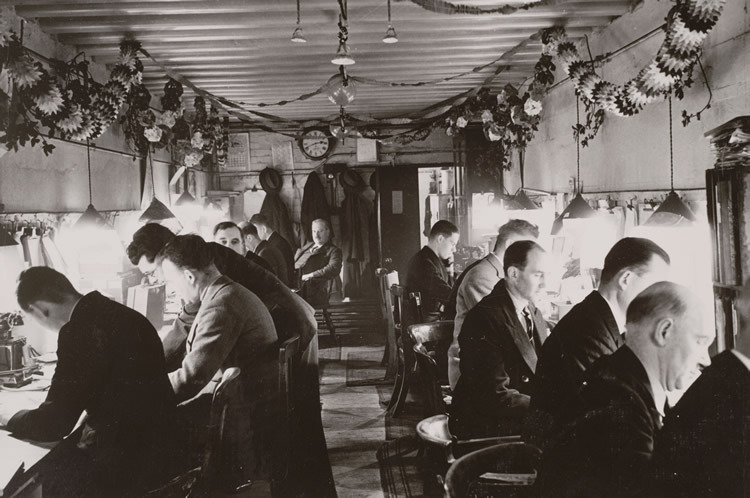 Railway workers in a control room on the Southern Railway, Christmas 1940. 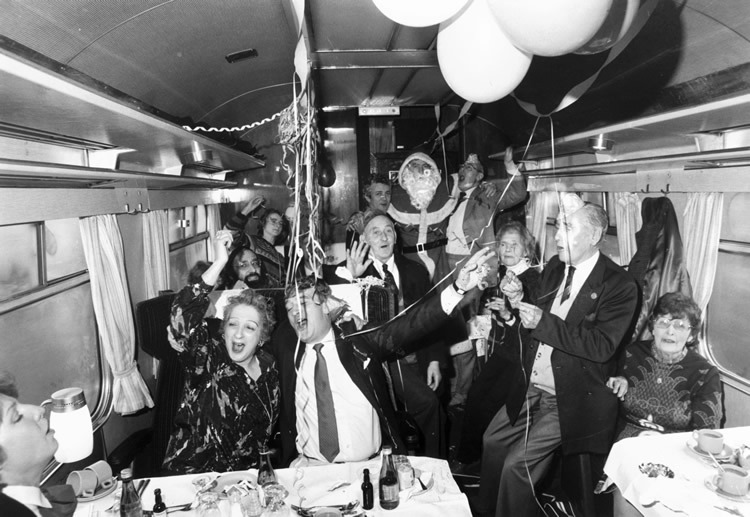 Christmas party on board a train, December 1985. (Img Ref: 10465805). Quite possibly after a little too much British Rail Claret. 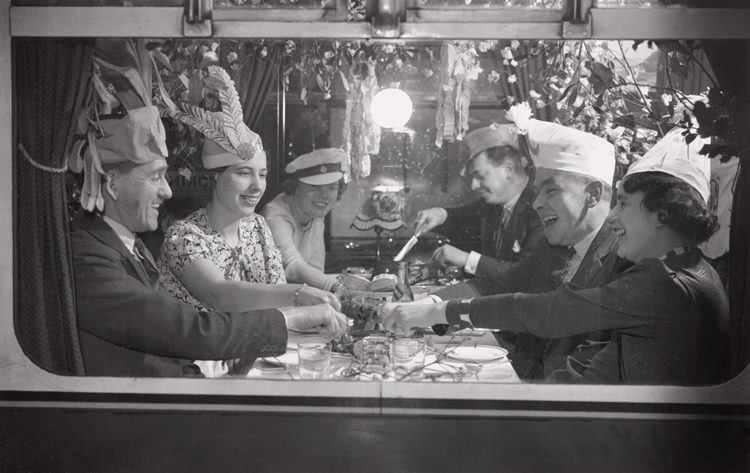 From all of us at the National Railway Museum, we wish our blog readers and visitors a very happy Christmas. And we also hope your trains deliver you on time and as planned.